Email: Contact Conneaut Municipal Court for email address. Looking for more information on Judge Carl L. DiFranco or local lawyers – visit ashtabulacountybar.com. 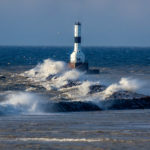 Looking for a Conneaut Attorney – find one here.